Jul 17: All is not well in UMNO, according to international news portal Asia Sentinel. 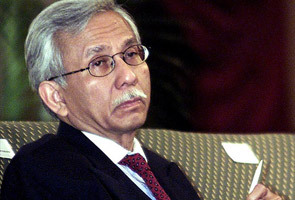 It said former prime minister Dr Mahathir Mohamad and former Finance minister Daim Zainuddin were back in charge as PM Najib Razak continued to be silent over a number of issues. “The common denominator appears to be the return of Mahathir, the 88-year-old former prime minister, and his close friend and ally, former Finance Minister Daim, at the top of the power structure in UMNO, politically emasculating the current Prime Minister, Najib,” wrote columnist John Berthelsen. The article said signs of Mahathir’s return were hard to ignore, and cited two recent cases – dwindling allocation of public university seats for non-Malays and direct negotiation award of a RM1 billion railway project to Malaysian Steel Works Sdn Bhd, a company which is owned 40 percent by UMNO interests. Berthelsen further claimed that UMNO members viewed Mahathir’s racial politics as key to BN’s power, as opposed to Najib’s 1Malaysia. “It was Najib’s attempt to reach out to the other races that cost them,” he wrote of the prevailing view among UMNO right-wingers. But Najib would continue to lead UMNO, said the portal, in line with Mahathir’s view that there was no one to replace him. Actually,M never left though he resigned in 2003. He was and continue wield power and influence.